Cactus Club Yaletown is hosting a fun fiesta themed breakfast for all our staff. 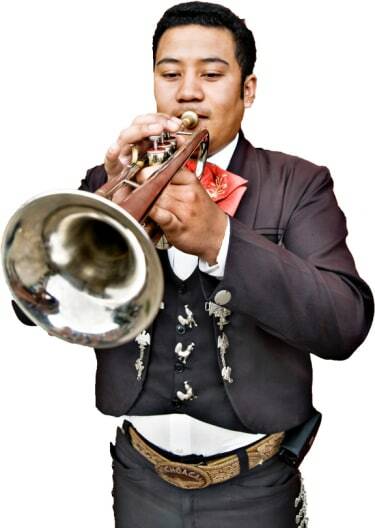 We would like a mariachi band from 9 am to 10:30 am while our staff are mingling and eating breakfast. 15 minutes at 5 pm - in a restaurant in Burnaby BC. Arriving on the music scene in the late 19th century, Mariachi Bands brought an upbeat yet traditional sound to Mexican culture. With a blend of guitars, violins, trumpets, the guitarron, and the vihuela, Mariachi music can truly liven up a party! The upbeat authentic Mexican folk music is the perfect accompaniment for wedding receptions, Cinco de Mayo parties, and so much more. Search for Mariachi Bands in Vancouver, British Columbia above. Please note that these Mariachi Bands may also travel to North Vancouver, North Burnaby, Burnaby, Vancouver, Vancouver, Barnet, Lynn Creek, Hollyburn, Ioco, West Vancouver, Anmore, North Surrey, Port Mann, Coquitlam, Steveston, Whytecliff, Fishermans Cove, Furry Creek, Ladner, Surrey, Surrey, Colebrook, Alluvia, Delta, Tsawwassen, Cloverdale, Point Roberts, and Milner.